Prime New York Strip at Del Frisco's Grille in Fort Worth, Texas. One of the busiest restaurants in Center City will soon have another, more casual location in Philadelphia to entertain the overflow of guests. Ten years after opening its Double Eagle Steak House at 15th and Chestnut Streets, Del Frisco's Restaurant Group announced last week it will bring a Del Frisco Grille to the Cambria Suites hotel at Broad and Locust Streets. The Cambria topped off in May and is slated for an opening early in 2018. The Texas-based restaurant group, whose upscale Philly location is one of the Pennsylvania's busiest bars, said the expansion is poised to replicate the success the company has found on the East Coast. "This fantastic downtown location will be the perfect complement to our Double Eagle and will quickly become the hot spot for dining, drinks and socializing," said Norman J. Abdallah, CEO of Del Frisco's Restaurant Group. "Thanks to [Double Eagle GM Carmen Tedesco] and his team, Philadelphia has always been one of our best performing restaurants and I expect this new Grille to follow in their footsteps." The Broad and Locust location, set within walking distance of the Convention Center and the Kimmel Center for the Performing Arts, will be spacious and ornate. Housed in a former parking garage at the Cambria Suites site, the restaurant will offer seating for 230 people in the main dining area, with additional space for private events and a patio fronting Broad Street. "There will be an extensive selection of wines in custom designed displays throughout the dining area and the space will highlight the high ceilings, expansive storefront windows, and a prominently positioned curved bar to create a modern, elevated and vibrant feel," the company said in a news release. 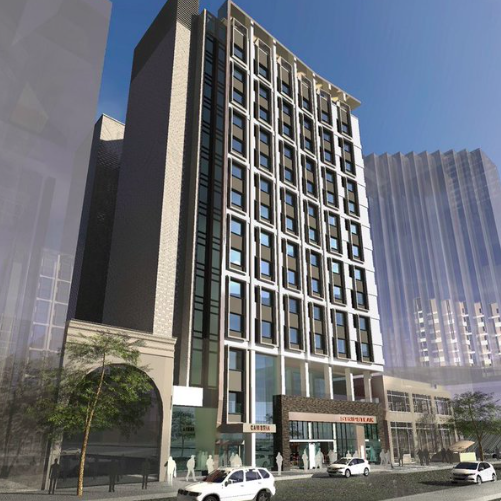 Rendering of Cambria hotel planned at 219-225 S. Broad St. Early renderings of the Cambria Suites project hinted that a strip steak restaurant was in the works. 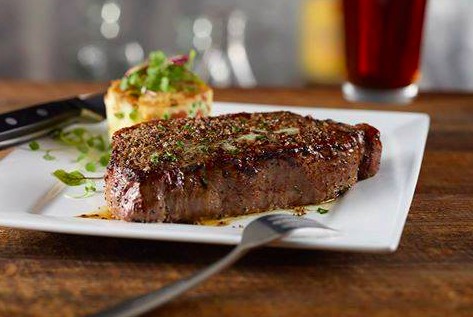 The arrival of Del Frisco's Grille, the chain's 25th restaurant in the United States, will bring extensive lunch and dinner menus with a mix of steaks, salads, sandwiches and seafood. The restaurant group's latest expansion will also bring new Double Eagle Steak House locations in Boston and Atlanta.